From what I remember from my childhood there’s a lot of industries that uses asbestos which they commonly called as a miracle mineral. Why this mineral was referred to as a miracle? Asbestos when it was discovered was found to have many wonderful uses in workplaces, buildings, residential houses and industries. I know it as a means of diminishing the heat that’s why it was commonly used in ceilings. In this part of the world that’s a big help for us and it would minimize the use or airconditioner. But the intelligence of man sometimes gives human being a hazard to their fellow because this miracle mineral was found to be a major hazard to human health. 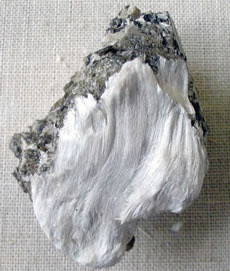 If a man inhaled this or was exposed to asbestos he’ll likely to have mesothelioma and lung cancer. Victims of this sickness were those people who worked in industries where exposure to asbestos particles happened. I also read that firemen who come to the rescue of a burning building with asbestos were at risk with mesothelioma. With this in my mind I was glad to know and was relieved that asbestos was already banned for usage. I just hope that those victims get help from the industries they’ve worked for.